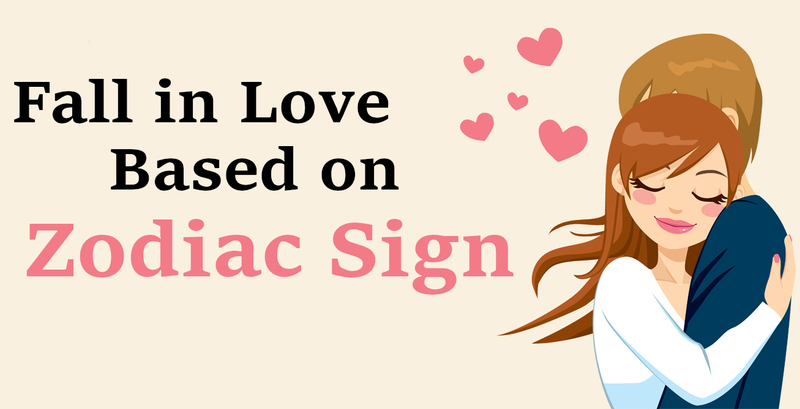 Which Zodiac Sign Should you Fall in Love With? At some point in life, most of the people in this world have a wish that they may find out their true love. Some people have a desire to know whether their partner is their soulmate or not. Zodiac love compatibility is one of the many ways to find out about it. Each Zodiac sign is different, and they have their strengths and weaknesses and share a different wavelength with other signs. Find out which sign will be a perfect match for you as per your Zodiac. They take their own time and use their wisdom to make a decision to fall in love. They are also very dominating and unpredictable. If you want to get into a relationship with them, make sure you do not have a lousy attitude as it will be a big turn off for Aries and they will just leave you without saying anything. The perfect match for the Aries is Leo as their energy levels match and they have equal passion, zest and enthusiasm for life. They are dependable and loyal, and this quality of the Taurus makes it difficult for the people to leave the relationship. Once they fall in love with someone, that person becomes their utmost priority. The perfect match for the Taurus is Virgo as both being Earth signs value dependability, stability and security in a relationship. It’s always fun and exciting to fall in love with a Gemini, and it is quite a bliss in the beginning. Since it’s not that easy to get to know a Gemini in first few meetings, people may end the relationship quickly. But, they are really good communicators and intellectual people once you get to know them. The perfect match for Gemini is Libra as they both love to communicate and share a love of art, culture, fun and all things fine. Cancerians easily fall in love and quickly come out of it, as well. Cancerians cannot forgive or forget small mistakes and trivial issues. They also tend to measure up things. They are extremely emotional, sensitive and loving and expect the same in their partner. The perfect match for Cancer will be Pisces as they are equally sensitive, adept at understanding their feelings and value love and family the most. Similar to Cancer, it is pretty easy to fall in love with a Leo because they are so magnetic and charming. But at the same time, it can get challenging for the other person to sustain in this relationship because Leo wants to dominate and throw their weight around. The perfect match for a Leo is Aries because of the spark that they share and their fiery passion towards everything in life. Virgos are quite shy and reserved in the beginning, so it is tough to get to know them. But once, they are in love, Virgos are the most affable and charming partners one can have. The relationship with a Virgo is a unique relationship and this infectious. The perfect match for a Virgo will be Capricorn as they both want to achieve perfection in every sphere of life and share common goals. It’s very difficult to resist The quintessential charm of Librans, and people love this quality and fall for them quickly. But, they also sometimes oppose to commit fully to their partners, and this can put people off. But, most of the time, the charm of the Librans work best. The perfect match for a Libra would be Aquarius due to their social skills, extrovert nature and their zeal for life. Scorpios are very attractive and blessed with a charismatic personality. The perfect match for the Scorpio is Cancer. Both are water signs and are extremely emotional and devoted when in a relationship. They understand each other thoroughly including each other’s positive as well as negatives which makes this relationship tick. They are full of joy, brimming with optimism and possess an ability to make others laugh. The perfect match for the Sagittarius is Aquarius as they are equally adventurous. Both of them have a knack to do something out of the box and crazy. They love doing things randomly and are fiercely independent. Thus, they give each other equal space which is a key ingredient to a successful Sagittarius- Aquarius relationship. Ambition, and commitment to pursue their dreams is that magnet through which people are drawn towards Capricorns. Their utmost priority in life is their work and their family. This is why their perfect match is Taurus as they both are loyal partners and have a fondness for materialistic things. They share similar dreams, goals and outlook in life which makes them true soulmates. Aquarius are high on life, great talkers and extremely knowledgeable. The perfect match for an Aquarius is Sagittarius because of their shared love for adventure and social skills. Both of them together are a treat to watch as they live their life the way they want to without caring much about the world. Pisces are extremely intuitive and compassionate people. They are the dreamers of the Zodiac and believe in a fairy tale kind of love. Pisces needs a partner who understands their emotions and feelings deeply. Scorpio is thus a perfect partner for them as they are also immensely emotional and can easily find out what is going on in their Pisces partner’s mind. At mPanchang, you will find relevant detail about the zodiac sign which is most suitable for you in terms of love and relationships and you can explore more about Zodiac sign compatibility as per your Sun sign.